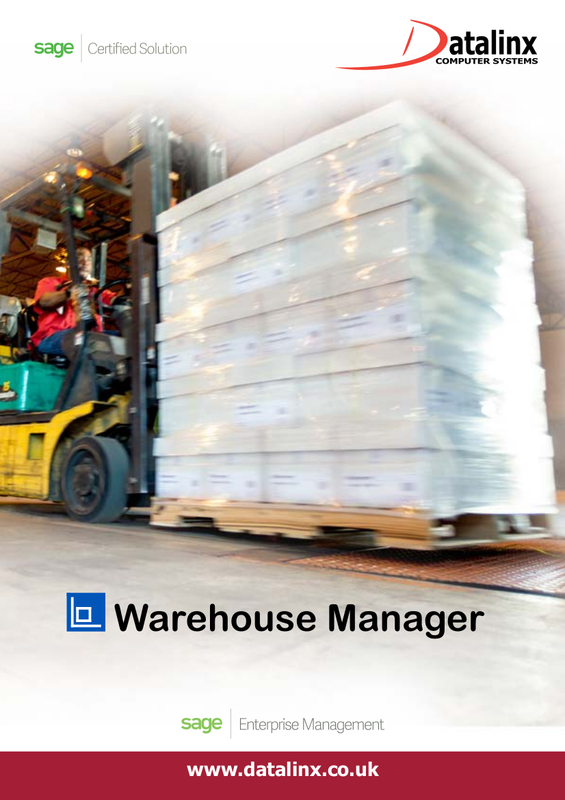 Datalinx Warehouse Manager delivers a complete solution integrated to your Sage accounting system, with extensive functionality to manage business process from the moment product arrives, through all transactional movements to packing and dispatch. Compatible with Sage Line 500 and Sage Enterprise Management (Sage X3) Datalinx WMS provides all areas of the business with live, real time information. Enabling you to optimize process and increase efficiency, delivering the key warehousing functionality that today’s businesses require. Designed for multiple industry verticals such as manufacturing, retail, distribution and pharmaceutical, our systems are deployed on-site and integrated into your Sage accounting system with operatives in the warehouse wirelessly connected to the central Sage system, utilizing the latest wireless hardware and dedicated Warehouse Manager screens. Datalinx is the only Sage developer in the UK, Europe and worldwide specializing in barcoding and warehouse management with Sage certified and accredited solutions. This means we understand how your Sage system works, including it's configuration and modification and we use this knowledge to ensure our Sage barcoding and stock control products fully integrate and work in harmony with Sage software. A key industry for Sage users, the WMS system a business has in this sector must embody the same ideals and fully support industry methods. Serial and batch traceability, compatiblity with GS1 standards and industry regulations are a core requirement for any warehouse system and the Datalinx products ensure that this is provided as standard within the system integration with Sage. Whilst adding value thorugh flexible, dynamic picking, tight stock control and perpetual inventory control to assist with the management of stock rotations. 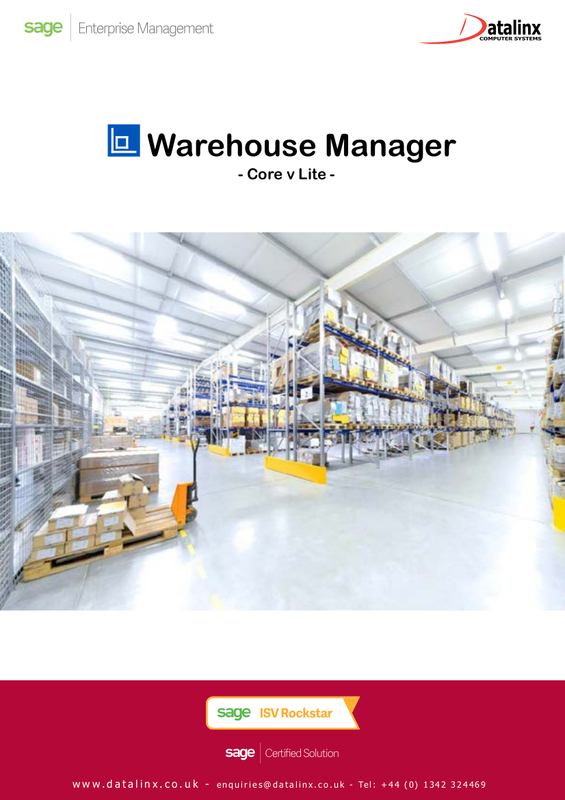 The warehouse management system must control, track and process the transformation of raw materials to a finished product within the business whether this involves the manufacture of kits, Just in Time production, Bill of Materials, Works Order issues and completion. With the rise of digital and online retail overtaking the high street, warehouses find they must handle not just B2B order but the high volume required for B2C sales. This means the management not just of product as it leaves the business but effectlive control of the increasing volume of returning consumer product. Ensuring customer expectations are met and retaining customer loyalty whilst maintaining tight margins, meeting changing seasonal demand, economic,price deadline, cost effectivie are core to madern business requirements. The warehouse system must offer the same dynamism as the retail sector itself to match and meet changing demand. Globally, businesses and the warehouse need to comply with healthcare regulations from GS1/FDA standards for barcodes and traceability, to serial numbering, batch/lot management and the centralization of data. 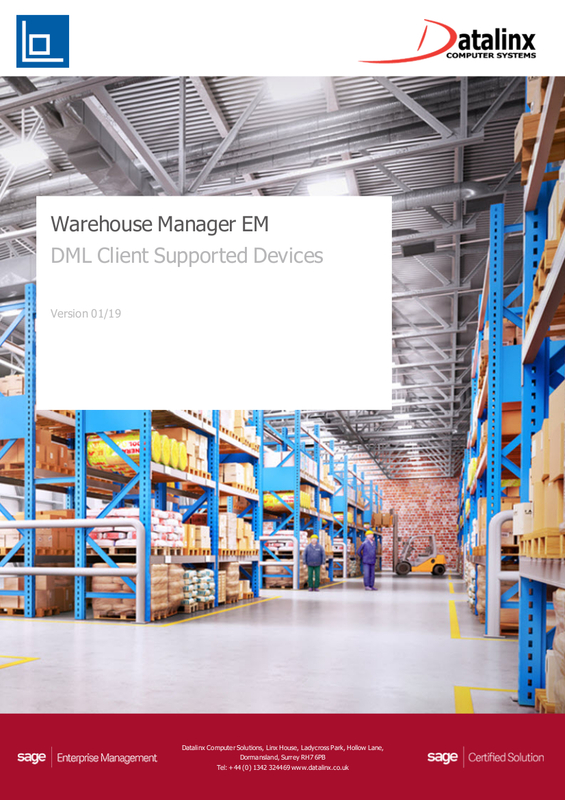 Advanced WMS system functionality is at the centre of an integrated solution, providing the basis for delivery of consistent service and advanced real time information. Usually demand driven, order processing and fulfillment of volume and speed of delivery are business critical. Datalinx provides multiple picking routines including but not limited to; wave picking, consolidated, routing, FIFO, global and detail allocations. Managing logistics involves organizing and maintaining the storage and flow of goods ensuring that they are despatched and delivered to the right location on time and at cost. This can include control of raw materials, manufacture, retailers and consumers.